A few months ago, I received an e-mail from my mother that passed along a suggestion from my grandmother that I read this book. While not a long book by any means, my wife and I read a story each night after dinner and finished it in a few months. Basically, this collection of inspiring stories goes so far as to suggest that all the fortuitous coincidences we experience in our lives are evidence of a loving and all-powerful Creator. As a Christian, I did see most of these stories as supernaturally-influenced, even if my scientific mind was skeptical at times. Separating the coincidental with the God-influenced can be difficult. While some stories seemed like mere coincidence, there were still quite a few contained in this volume that had no other explanation other than God showing off what He can do. Collected into a few different categories, many of these stories had us in tears as they were filled with touching moments that spoke to our ability as individuals to be God’s vessels to impart His timing in the lives of others, either to save their lives or to bring blessing into them. In the end, the book does highlight how our lives can either be seen as a series of coincidences or as God-inspired plans. If we live our lives with the mindset that any lucky break or prescient reminder is just random chance, then we might miss out on some of the truly spectacular coincidences that have no other explanation than being orchestrated by a higher power. On the other hand, if we recognize even the smallest connections in our lives as God acting through the slightest details, we can be comforted in the fact that He cares about us, even down to the minutia. 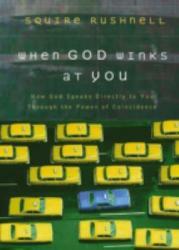 A little book filled with inspirational stories, I give When God Winks 4.0 stars out of 5. 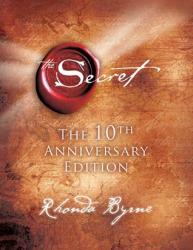 "The Secret" by Rhonda Byrne reveals the science behind the Law of Attraction and how to apply it to every day life. I'm not kidding when I say this book changed my life. After discovering how I have personal power to positively change my life using the Law of Attraction just by thinking positively, everything opened up. I learned that life doesn't simply happen to us; we can make our lives extraordinary. Incredibly well written and very powerful, this book is full of inspirational quotes and success stories used to motivate you towards achieving your goals. I highly recommend this book if you want to affect positive change in your life. 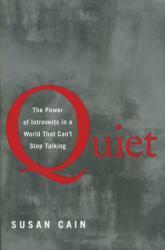 This book has me questioning whether or not I'm actually the straight-up extrovert I believed myself to be. Maybe it's a product of aging or of circumstances, but I find myself identifying with the introverts in some aspects of my life. My husband is a hard-core introvert, so this book reinforced what I already know about him. 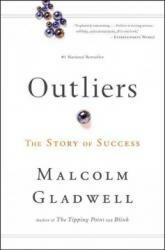 The anecdotes were very interesting and the presentation was more readable than your average nonfiction book. Good book! 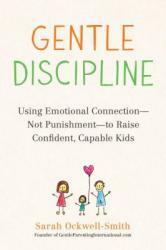 Gentle Discipline seeks to provide an alternative approach to the mainstream philosophy regarding the disciplining of children. 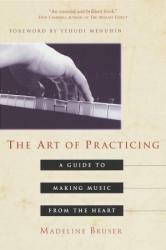 I appreciated many of the tips and suggestions found in this book. It is very helpful to remember how immature a child's brain is, and just because they can understand adult language, does not mean a child has adult responses or even the ability to think like an adult. It is also helpful to remember that to discipline is to teach, not to punish. Disciplining children gently is not an instant fix, but is a long-term approach to changing kids' behavior as well as our own. We can start wherever we are with our kids and we don't have to be perfect, because NO ONE is.The narrator is nauseatingly calm and peaceful, so much so, that I almost didn't listen to the book. From Bartering to Foraging and even Porch Sitting, each passage is illustrated delightfully. I chuckled every other page. Written playfully, yet with much seriousness - it is easy to quickly get sucked in and keep reading until you think your brain might burst from all that delicious information! As soon as I got to the Hoarding passage, I sincerely wished Ana were my friend, or at the very least, nearby if and when the world (as we know it) ends. This was a very informative, and honestly slightly scary book. The takeaway is to heed your intuition and gut-feeling regarding the safety of your children. We brought Zoe to a Kidpower workshop, which was just wonderful. Zoe now has some tools to keep herself safe and I feel a bit less worried. Still worried of course, but a bit less... I definitely recommend this book to all parents, especially mothers. Millions of Americans experience pain every day of their lives. Maureen Pratt, who has lupus, is intimately aware of the toll chronic pain takes on people and their families. In this practical and spiritual guide, she shares how she navigates through the frustrations, fears, and complexities of living with chronic pain and illness. Pratt provides help on such issues as finding meaning in suffering, feeling guilty for being a burden to others, and resolving unmet expectations. 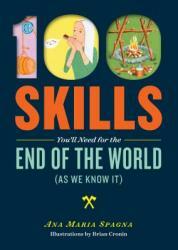 The chapters are short and concise, written with honesty and humor. 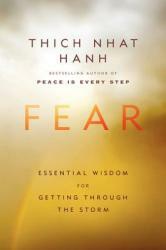 The book can be read from cover-to-cover or just choosing individual topics. This is a very heartwarming book about the relationship of an autistic boy, Fraser and his rescued cat, Billy. Louise Booth, who is Fraser's mother as well as the author, describes the impact of Billy in terms of helping Fraser overcome many of his physical and emotional challenges. Fraser comes out of his shell and Billy is a tremendous part of this positive change. Sometimes cats are portrayed as being standoffish, but Billy disproves this stereotype with his friendship with Fraser. A wonderful story! This was more of a 3.5 stars. It was very enlightening, but the clothes choices were pretty much way too dressy for my situation. I mean, a blazer for weekend wear? I live in Colorado. Jeans are the norm. But there was welcome advice on fit for my body type. Dr. Brown recounts both her journey through research and the results that she found to bring our daily lives into "wholehearted" lives. Excellent writing that allows the reader to follow her very human journey. I'm not sure I got a lot out of this book. I did like that it had a list of stores in the back of the book that specialize in specific needs. I also liked Stacy's voice. It was warm and honest. It seemed like this book was aimed at city dwellers, which is fine. My style needs aren't that, though. Oh well, I'm still going to read her other book. I finished this book a couple of weeks ago. It was interesting, but I can't remember too much about it now, which is why it's only getting 3 stars. I do remember the cue -> action -> reward loop that makes up habit and am half-heartedly applying it to my nail-biting habit. Just knowledge of the cues has already helped me be aware that I'm biting or am about to bite my nails. We'll see what happens. I also plan to implement the habit loop in Zoe's violin practices. If language doesn't offend you, this is one of the more thought-out, funny and smart books about certain members of our society. While reading, it seems more like entertainment, but you catch yourself noticing patterns in reality that apply. It's both fun and educational! Kevin DeYoung encourages, convicts, and motivates Christians to, by grace, conform themselves to be more like Christ. He urges Christians to become more holy without ignoring the Gospel grace nor embracing grace by works. DeYoung carefully balances legalism with total freedom to form a modest Christian liberty. 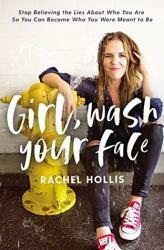 This was an absolutely great read, and I recommend it everyone to read it. Max Lucado is one of my favorite authors. "Grace" is a wonderful read because of the examples given, easy reference and the way it is written. You will never go wrong with any of this author's books.